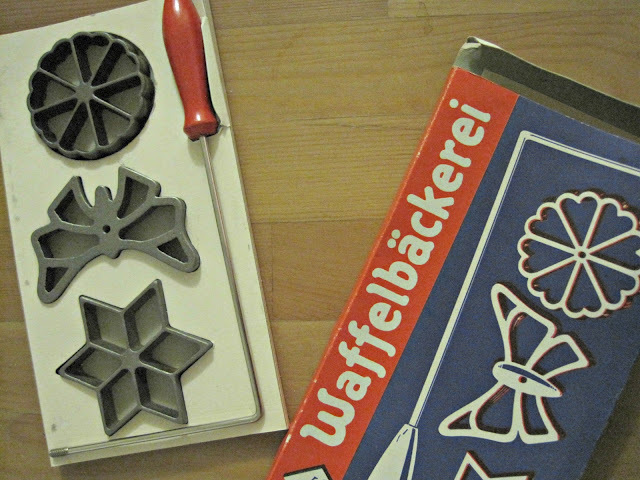 Remember Erica's post from last year's Scandinavian Christmas series about these little Norwegian gems called rosettes? If you don't remember, or have never had one before, I urge you to follow the link back to her guest post because these little suckers are delicious. I hit the jackpot this week. My mom found her old rosette iron and mailed it to me (thank you, flat rate shipping), yay!!! I am super stoked to try it out. I have eaten my fair share of rosettes in the past, but have yet to make them on my own. I will be sure to check in and post after my first batch. As for my week, it's been going pretty well besides the fact that I got hit hard with a ridiculous cold last night. I felt it coming on Sunday and was hoping it would just pass...but alas, it looks like it is here to stay for a few days. Thankfully, I have some NyQuil for tonight - I had a horrible time trying to sleep last night. Enough about colds, life is pretty great right now so I shouldn't complain about some silly little cold. Ryan has been getting a lot of job interviews so we are very encouraged and blessed. Plus, the weather here has finally cooled down so I can once again wear jeans on a daily basis (my fave thing to wear), yes!!! Tomorrow is already Thursday which means it's practically Friday and the weekend will be here before I know it. I hope you all are enjoying your week! Last year I posted about the annual Lucia Festival held here in Los Angeles. In the post, I mentioned how I was hoping to get a craft booth there this year. In just a couple short weeks, I will find out if my application gets accepted!! My friend Beth and I applied to share a booth and we are crossing our fingers we get accepted to sell our homemade goods! I'm brainstorming ideas of what to make/sell. What would you want to buy? Because this is a Christmas-y type fair, I'm planning on making ornaments for sure (I've already made a few I'll share in a later post), I'm going to try my hand at freezer paper stenciling on onesies and totes, and I'll also be making a few versions of the Lucia crown for kids (sans the candles). I am debating if I should make some needle-felted Lucia figurines; they are very time-consuming to make and I'm not sure if they'd be a big seller? 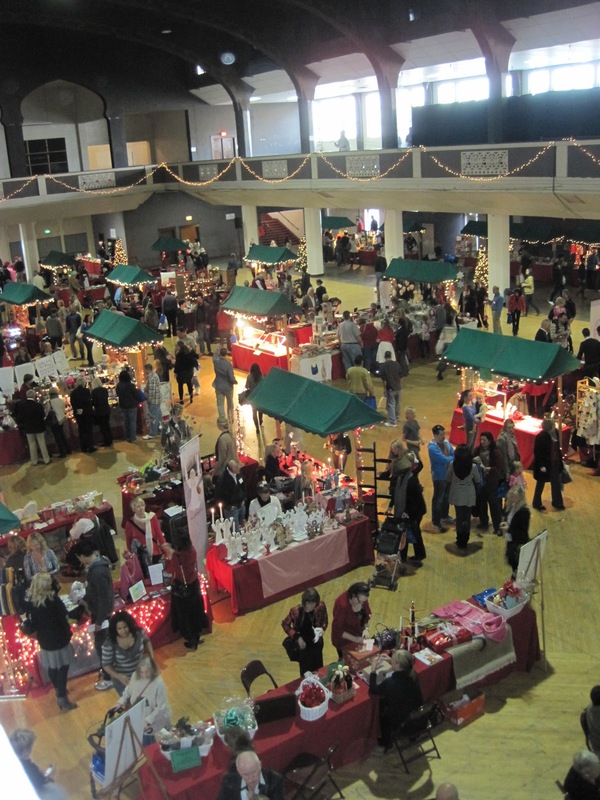 Regardless of if we get to participate this year, I'll definitely be shopping there! Yesterday I decided to go through some of my Pinterest boards and actually make one of the things I've been pinning. I love Pinterest, but I find that it can be a little bit of an overload (for me) at times. There are so many cute things that I "pin" then never go back to make it. So as I was perusing my pins yesterday I came across these yarn-wrapped bottles. It's quite self explanatory. 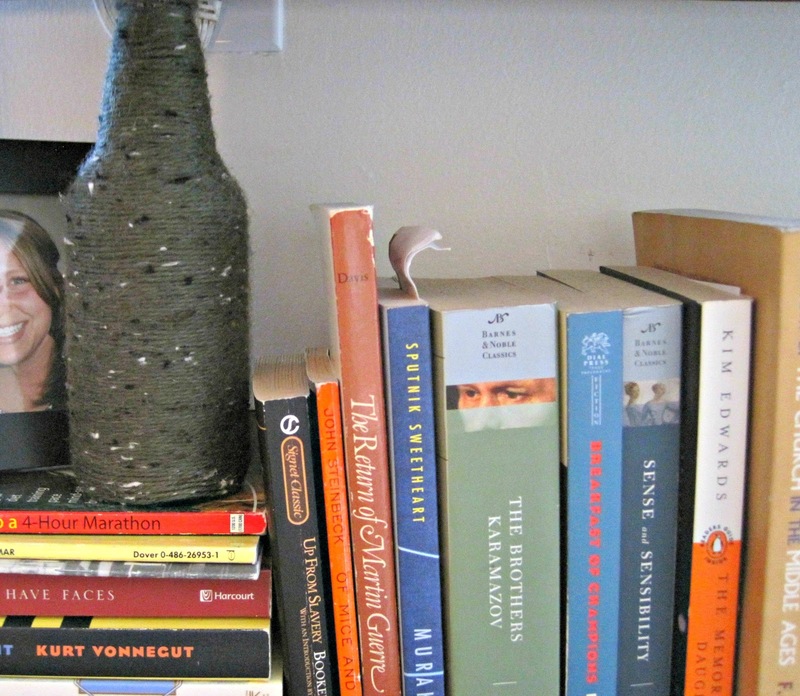 Take leftover yarn and wrap it around an empty (clean) bottle. I used a little hot glue here and there to help keep the yarn from slipping. And now I have a yarn bottle ready to decorate a bookshelf or hold a flower or two. 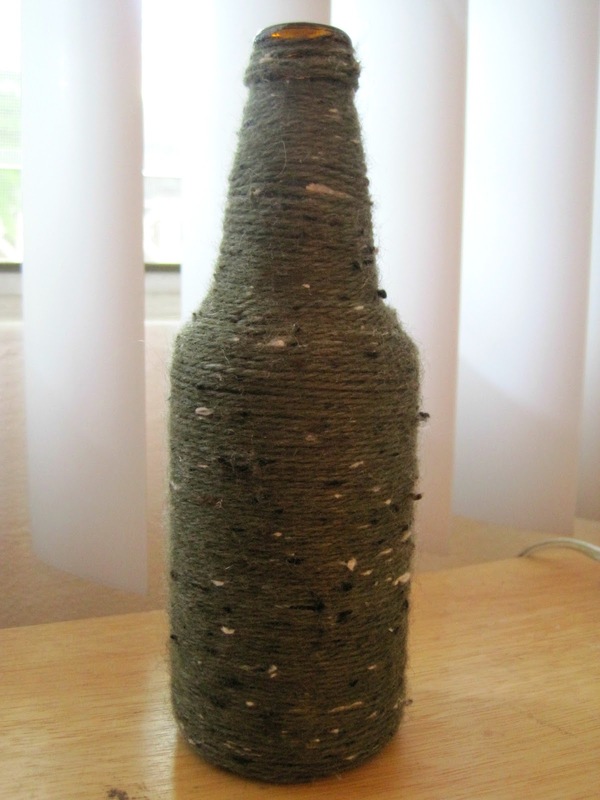 Here is the original yarn wrapped bottle post. They did 6 in solid colors and it looks pretty sweet. Hope you are having a great week! Happy Wednesday! I love baking. But, some days I just don't feel like messing up my entire kitchen (yes, I'm a pretty messy baker) to make brownies just to satisfy a fleeting craving. Especially after my wonderful husband just hand washed all of the dishes (we don't have a dishwasher). So I finally tried the ol' brownie in a mug recipe I've been seeing all over Pinterest. I have to say, it's pretty darn convenient and quick to whip up. Is it the best brownie I've ever tasted? Of course not. But for taking up literally only 5 minutes of my time and not having to mess up my kitchen, they're definitely good enough for a Sunday night. Mix all ingredients in mug. Microwave for 30-60 seconds. I checked mine after 30 seconds and zapped for another 15 seconds, for a grand total of 45 seconds. Microwave times may vary (obviously). 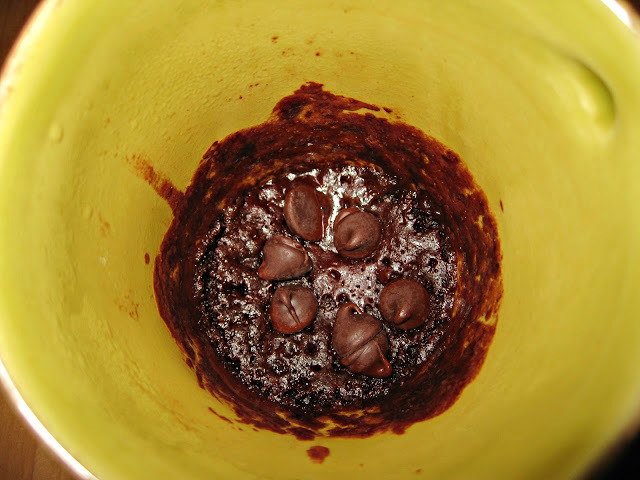 Top with a few chocolate chips. Enjoy! I'm back! I had a wonderful summer and early fall, I hope you did too! Instead of trying to catch everyone up on what I've been doing since my last post (over 2 months ago!! ), I'll just pickup from this past weekend. 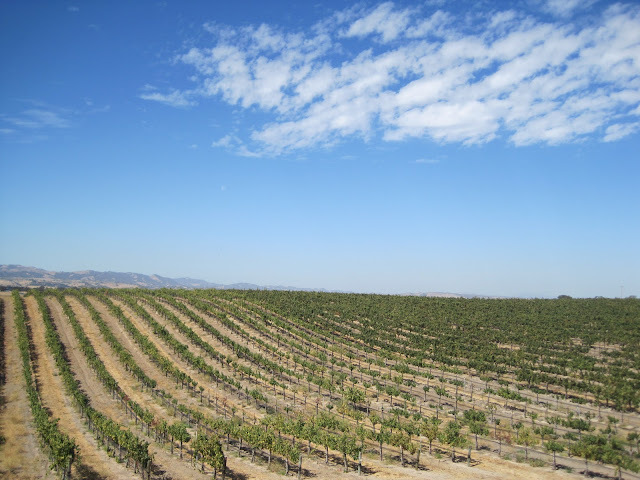 Ryan and I spend a fantastic weekend in Paso Robles and San Luis Obisbo. There was a lot of wine tasting involved. It is harvest season in wine country so we were pretty lucky and got to see how the process starts. 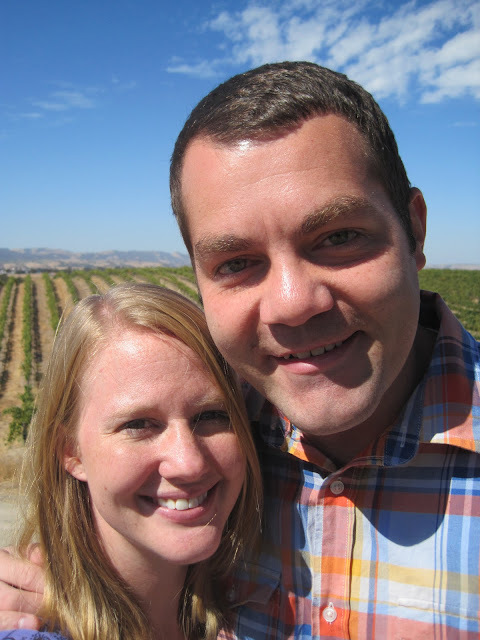 We took a tour of Eberle's wine caves which was pretty sweet. They offer free tastings and tours so if you're in the area I highly recommend them, they make a pretty mean glass of viognier. Here we are happy to be starting our winery tour! 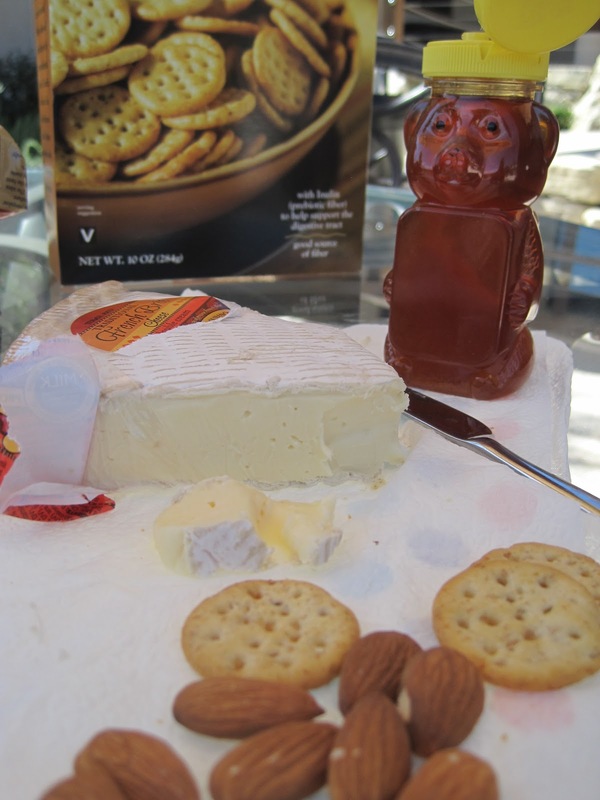 At the next winery, we enjoyed our picnic snacks and some local honey we bought from Pipestone Vineyards. Pipestone was a really cool vineyard - they are completely solar powered, organic, and practice sustainable farming. They had their very own beehives and the honey from said bees was delicious! Our second day we spent in San Luis Obisbo and San Simeon. 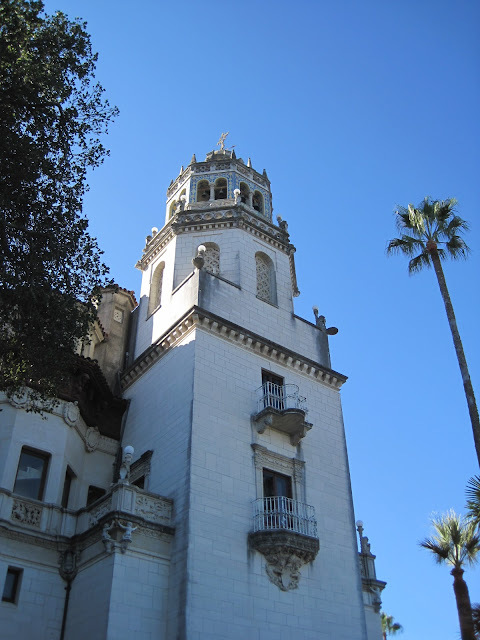 Here we took a tour of Hearst Castle which was pretty darn incredible. And last, but certainly not least, we checked out the little town of Cambria on our way back home. 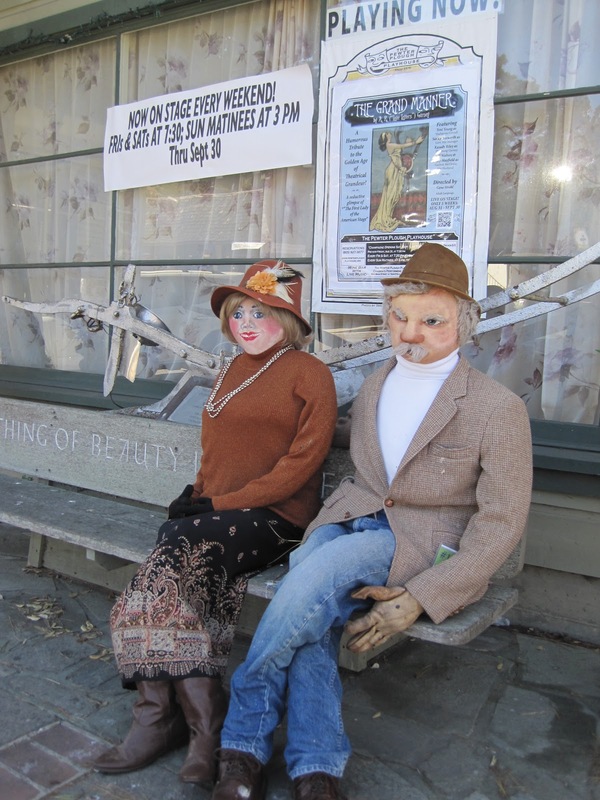 And lucky for us, it was the weekend of their Scarecrow Festival!!! There were hilarious scarecrows placed all throughout the city. The town itself was pretty quaint, a few restaurants and little stores. We hit up a couple of the antique shops while we were there. In other news, my niece Hannah is 2 months old already! My how time flies. She is so precious and getting some serious rolls already. Yes, major cuteness! Also, I don't know if you heard or not, but California just passed the Cottage Food Law which will allow people to sell baked (non-perishable) goods from their own home. Prior to this, one would have to rent out a commercial kitchen if you wanted to sell any homemade goods. So starting Jan. 1, 2013, Ryan and I will be going into the home-bakery business! Wooo! We are still working out the kinks and deciding on a name, but we are so stoked! And that about wraps everything up! 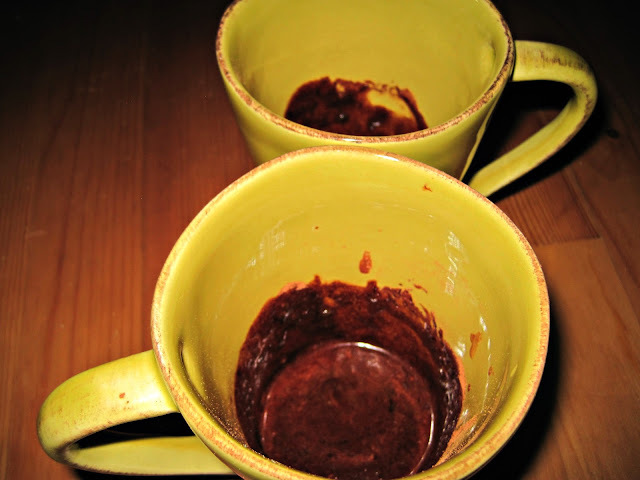 I am going to start blogging regularly again and hope to share some craft projects and recipes soon. I also am getting ready for the Scandinavian Christmas series 2013, so if you or anyone one you know would like to participate, please e-mail me (kathryn dot pickledherring at gmail dot com).